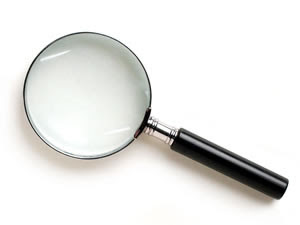 Grab yourself and your child a magnifying glass and head outdoors! If the weather is bad, inside is the next best thing. Take a close look at the things around you that you overlook everyday. Perhaps a flower, a bug, peeling paint, a blade of grass, an orange peel. Use the opportunity to teach your child about the things he or she is looking at. It's one of the best hands-on classes available, and so much more interesting than reading the lesson from a book. Ask him to describe for you what he's looking at, to exercise his vocabulary. To make it even more fun, create a story adventure about exploring a far-away jungle or an alien planet. Use small figurines if available. Let him contribute his own storyline. Make the experience a time to remember, with the added bonus of learning something at the same time.